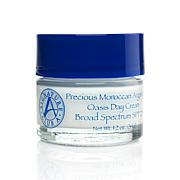 Looking for a moisturizing and sun-protecting day cream? Experience the beauty benefits of Moroccan Argan oil combined with extracts from the baobab tree. These precious nature-based ingredients are formulated into a super-emollient cream that gives parched skin a long-lasting, daily boost of moisture while also providing broad spectrum sun protection with an SPF 25. I love this product, I have dry skin and this works well. Only problem is the price is same but the jar is much smaller. Anyone else notice that? Will look around for better deal! Best face cream for every day use! It is light, not greasy, moisturizes perfectly, makes my skin feel smooth, and importantly - is a broad spectrum sun screen SPF 25. I have sensitive skin that burns easily, so the sunscreen feature was a big consideration. A good buy! 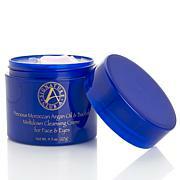 This product works the best on my now 79 year old skin. Whether I am living in DRY Colorado or down south, this one is the best.I have tried others, but admonish myself when I do. I know better.Thank you Adrianne. 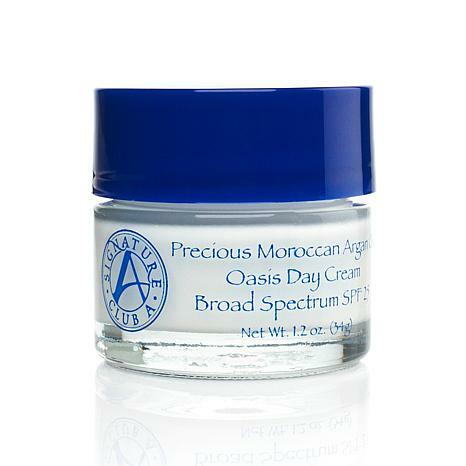 I used all the Precious Moroccan Argan Day Cream Oil and loved it. My skin thanked me.I will purchase again.